New research finds island birds have larger brains than their mainland counterparts and attributes it to evolution on islands. Which came first: big-brained birds that ultimately settled on islands or did birds that populated islands develop bigger brains? Researchers think they might have the answer. Although scientists have long understood that island birds have larger brains and are therefore smarter, it was never clear which came first, but a new study published in Nature Communications supports the idea that island bird large brains evolved in situ or on-site and not prior to island dwelling. To begin the bird brain study, researchers compared 11,554 museum specimens representing 110 island and 1,821 continental species and found that island birds have bigger brains. This, however, did not address the ‘which came first’ question. For that, researchers compared relative brain size between the closely related island and continental species and found birds that evolved on islands had larger brains than their continental counterparts. The results were even consistent when comparing birds that are perceived to be intelligent such as crows as well as those lacking intelligence such as pigeons. Researchers attribute this evolution of larger brains to the settling of new habitat since island species have to carve out niche space and adapt to an islands resources. Additionally, island species are inherently isolated and without external resources, cognitive function plays a critical role in the establishment of island populations. Another theory suggests that since island birds mature at a slower rate and therefore have more time to develop larger brains. Although their brains are larger, birds that have evolved on predator-free islands are still susceptible to predation by introduced and invasive species since there is no place for these species to go when their habitat is threatened or altered. 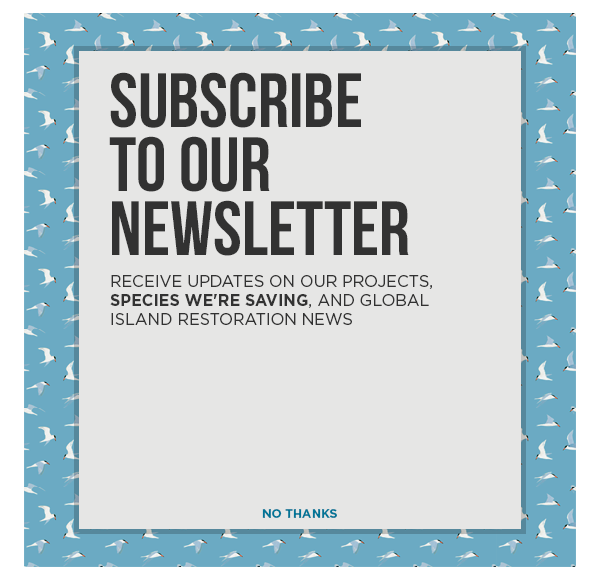 Luckily, conservation efforts can help prevent the extinction of many threatened island birds species and hopefully researchers will continue to learn more about the evolution of these species.